Wow! This is fantastic. I love Advanced Style. What a great interview, Bella. Cool interview! I've ordered the book and pledged to the Kickstarter campaign. It's a great cause. And I love the large version of this photo of Judith. Just saw his book at Barnes & noble! Flipped through it and it's great. Want to spend some more time looking this weekend as I was with the kids and sort of distracted. I find him, and his models, so inspirational. I already feel a bit left out at forty, but imagine how left out I'll feel at 70! These women are reminding us not to let society tell us what we should be, and to live life to the fullest every day. Nice review! I love what he says about respecting our elders. He's a great example of that. I wish we could all be that way. Fantastic interview, Bella!! 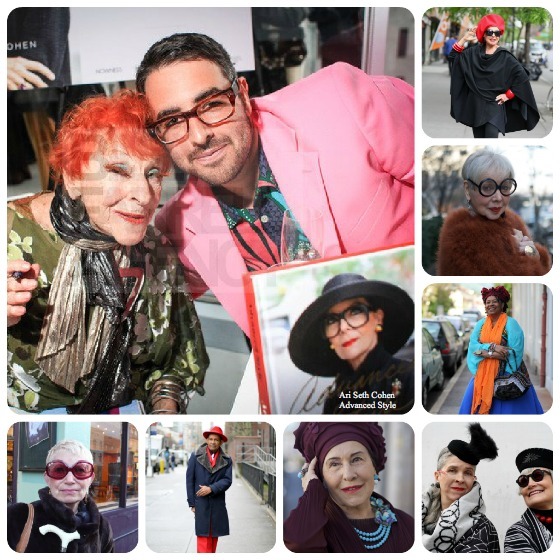 The women Ari features in his blog/book have helped give me the gumption to dress the way I please today and into the future. His subjects are life-alteringly inspirational and you are the perfect person to help spread the word, as you already live the word. Yay, Judith. Looking fabulous!! Brilliant both of you, dear Bella. 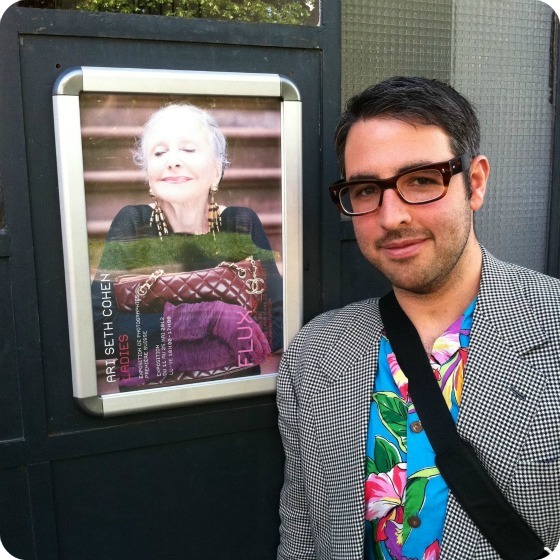 I love his blog and stylish abuelitas. Wow, get you doing flash interviews. Loving it. This is great! Thank you! I am gonna add him to my blogroll too. So inspiring, both of you! Have a nice weeekend Bella! Fantastic interview Bella! 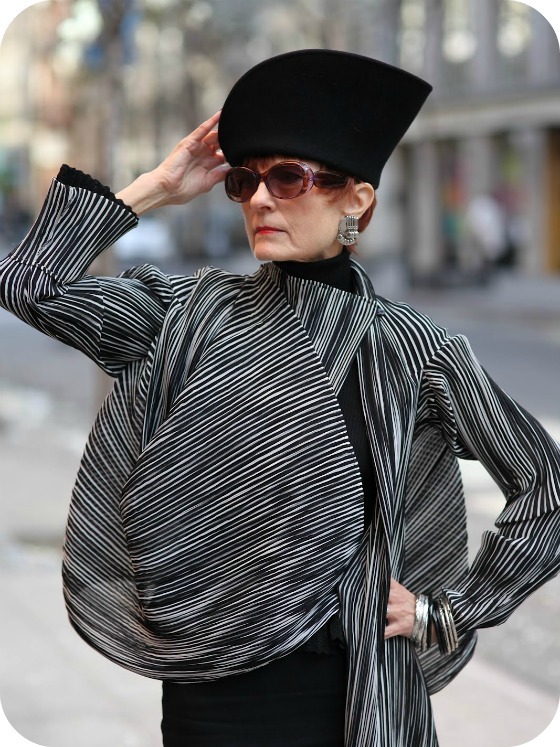 I love this so much, it is bringing freedom to age in style to all women! Wise words for a great fellow blogger! I admire him so much and the women he has shared inspire me daily! Bella-- what a great interview--- nice get! Ari really does inspire with his blog= as do the subjects! Great interview! Lucky you for having that opportunity. Seth's a great guy and an amazing blogger. I like how he's raised the profile of such vital, spirited, and wise people. You're doing that too! Thanks. Ari's blog was an early discovery for me and absolutely had an impact on where I am today. You are awesome as well and I'm so happy to be a part of this community. Love the beautiful picture of Judith. Bella, the interview of Ari was special coming from you. I was honored to be included in your post about someone who has inspired so many to accept and love ourselves generously as we age. Thank you for all that you do, as you influence and encourage everyone that you touch. I enjoyed this, Bella. Thank you. Luck you, getting to interview Ari Cohen! This post is all kinds of wonderful for many reasons. These women are beautiful. I can't wait to get his book. The 2nd to the last image is my favorite. Love the black and white and her look of confidence. Enjoyable interview! Wonderful interview. I'm a long time follower of Advanced Style and very happy that it's been so successful. Magnificent post, and how lucky you are to have pinned him down for an interview. Your blog looks amazing. Say ello to Seattle for me. briallint, you're so lucky to meet her! What a great interview! I love reading advanced style.